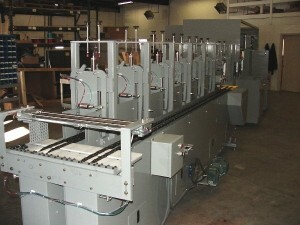 The Scrubber Wrapper & Stacker is used in the production of scrubber sized lead-acid batteries. It is designed to fold separator material around positive plates, seal them along the sides, and stack them along with negative plates into cell elements. 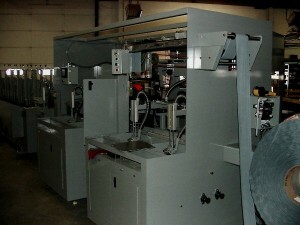 To see our Scrubber Wrapper & stacker Video please click here to request a private link.